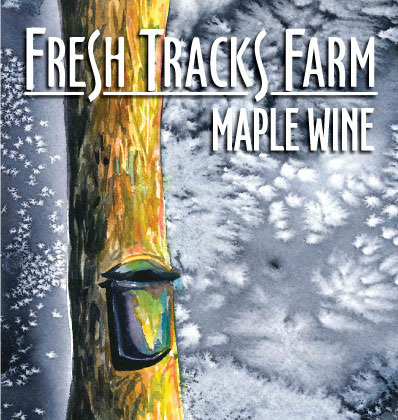 Maple Wine is made from 100% Fresh Tracks Farm Vermont maple syrup. At the tail end of the sugaring season, once we’ve bottled the lighter grades of syrup, we draw off the maple “sweet” to be brought down to the winery. After a closely monitored fermentation and careful aging we produce this delicious Vermont maple wine! Suggested Pairings: Complex enough to be enjoyed on its own and sweet enough for a cider doughnut, this wine is sure to please. Beautiful incorporated into your favorite recipes, Maple Wine caramelized onions are a surprisingly delicious addition to your favorite burger with slivered apples and cheddar cheese.